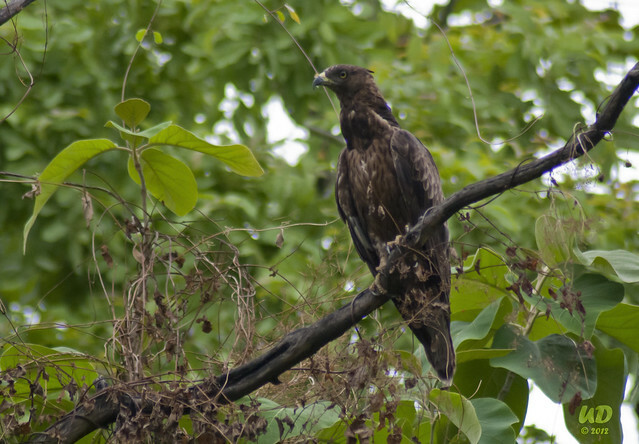 The City bird of Nagpur is Oriental Honey Buzzard or Crested Honey Buzzard. 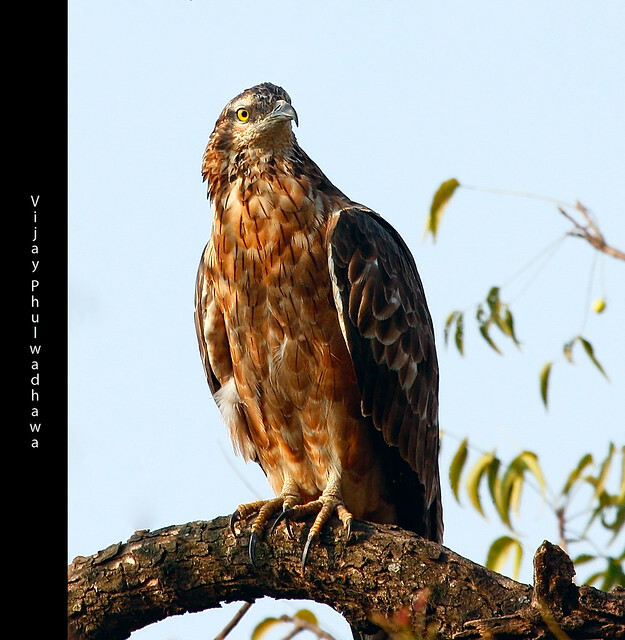 The crested honey buzzard (Pernis ptilorhyncus) is a bird of prey in the family Accipitridae which also includes many other diurnal raptors such as kites, eagles and harriers. This species is also known as the Oriental honey buzzard. Despite its name, this species is not related to Buteo buzzards, and is taxonomically closer to the kites. It appears long-necked with a small head (resembling that of a pigeon), and soars on flat wings. The head lacks a strong supraciliary ridge giving it a very un-raptor-like facial appearance. It has a long tail and a short head crest. It is brown above, but not as dark as honey buzzard, and paler below. There is a dark throat stripe. Unusually for a large bird of prey, the sexes can be distinguished. The male has a blue-grey head, while the female’s head is brown. She is slightly larger and darker than the male. The male has a black tail with a white band, whilst the female resembles female honey buzzard.